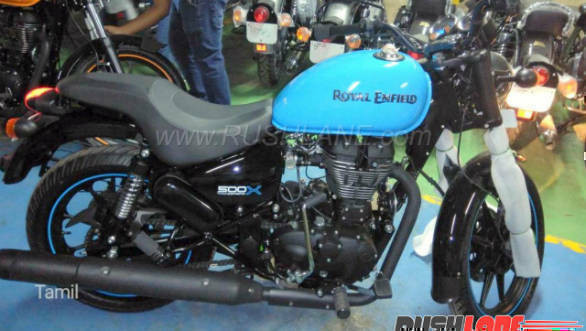 Royal Enfield is set to launch the Royal Enfield Thunderbird 500X and Royal Enfield Thunderbird 350X in India on February 28, 2018. 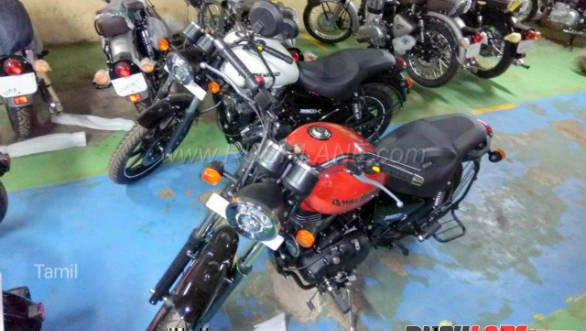 The Royal Enfield Thunderbird 500X had already been spotted at a dealership stockyard at the end of 2017, followed by news of its smaller sibling the Royal Enfield Thunderbird 350X also being prepared for launch. Both the motorcycles will be available in the bright-coloured tank and blacked-out mechanicals paint jobs. The mechanicals on both the variants will remain the same as the standard Royal Enfield Thunderbird 500 and Royal Enfield Thunderbird 350. Royal Enfield also launched the Himalayan FI Sleet Edition recently. The changes that set the Thunderbird 500X apart from the standard Thunderbird 500 include a new handlebar, single-piece seat, black alloy wheels and tubeless tyres. Alloy wheels make a comeback for the first time on a Royal Enfield since the DX175 Fury in the 1980s. The engine is finished in matte black, as is the exhaust. The Thunderbird 500X also gets bright, contrasting paintwork (red, white, yellow, or blue) and matching rim stripes. Royal Enfield has done away with the tiny backrest in order to tidy up the rear. Also new is a grab rail finished in black. Overall, the Royal Enfield Thunderbird 500X looks sporty and is certainly aimed at the younger audience. The Royal Enfield Thunderbird 350X will also incorporate the same design changes. Expect the motorcycle to carry over the same engine that powers the existing Thunderbird 500. The 499cc, air-cooled, single cylinder engine that produces 27.2PS and 41.3Nm, while that on the Thunderbird 350X will be the same 346cc single with 21PS and 20Nm. Either engine comes mated to a five-speed gearbox. The projector headlamp with LED DRLs and LED taillamp are similar to the existing Thunderbird.